EOS Weekly has been putting out some excellent content. If you haven't seen the video they did detailing the @eosDAC permissions system, please check it out here. The messenger and SMS integrations seem to be working just fine now. You can also get an EOS account via the newly launched Sense app, which I tweeted about here. So back to Bancor... the reason for this post is the continued realization of just now difficult most cryptocurrencies are to use. 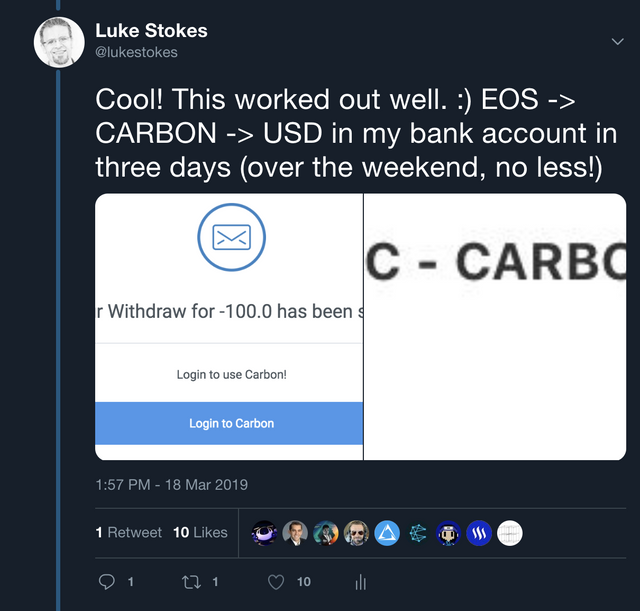 I went to convert EOS to ETH so I could send it along to Coinbase and convert to USD (Coinbase doesn't yet support EOS). 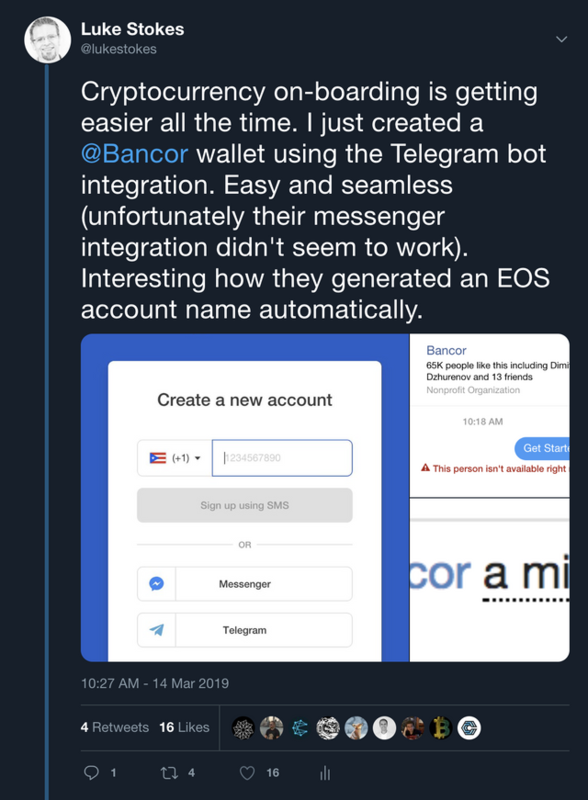 I was excited to use the Bancor convert system, but got an error about not having enough gas for the ETH side of things. No problem, I understand how this works. Now I just need to get some ETH. I had to go back to my speadsheet and hunt around for where I have some ETH stored. Next I had to get my Ledger Nano S out of its secure location, find my USB dongle, start up Ledger Manager, and transfer some ETH around. I figured I'd put some on my Edge wallet to avoid having to go to my hardware wallet in the future, but the Ledger Manager wouldn't accept the QR code from Edge and instead gave an error along the lines of "Couldn't scan this QR code: auto verification not available at this address." How are normal people supposed to figure this stuff out? It was at this point that I was really wishing the FIO Protocol already existed and was implemented in every major wallet and exchange. If you're not familiar with FIO, check out my post from a couple months ago. 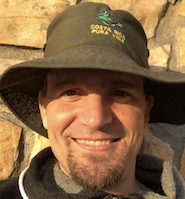 I'm joining Dapix as their part-time CTO pending their Series A raise. I've been advising with them in the mean time, and I'm really excited about the potential. Needing to deal with crazy confusing wallet addresses and gas fees and such reminds me once again how nice DPoS blockchains like Steem and EOS are. 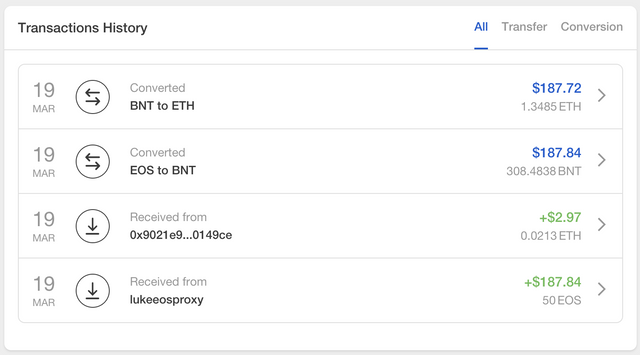 We have something really special in that users can simply send and receive cryptocurrency using simple named addresses without having to concern themselves with gas for fees. Things are getting better! Since setting up my Act 20 business here in Puerto Rico, I've been working on different ways to convert cryptocurrency to fiat to cover payroll and living expenses. I've been setting up corporate accounts connected to my business checking account for this purpose. One that I'm quite interested in is Carbon Money integrated with the Lynx wallet. I started with a $100 transfer, and it worked quite nicely, getting all the way through to my bank account within just a couple days. I've got another larger transfer in the works now to test it out again. I realize there's a long way to go to make cryptocurrency easy to use for every day people, but we're getting there and larger companies and governments are getting interested. I had a call today with someone from a company with 11M users interested in exploring blockchain technology. Last night I had a meeting with the digital transformation group organized by the Puerto Rican government and their blockchain advisory board interested in learning about eosDAC technology (you can see the slides I created the night before here). Exciting things are happening. The future will involve blockchains and secure, transparent, decentralization. That is certainly interesting but I still remember paying for something online years ago and it wasn’t intuitive either but look how far we have come! I will expect thr same to happen with crypto as well! Great to see Puerto Rico continuing to progress down this road! I have to get back down there soon and catch uo with some friends! We have a long way to go, but we'll get there for sure! @lukestokes, Thanks for letting us know about this brother. And if particular product is exciting and producing the Simplified process then for sure it's beneficial aspect and it will raise the goodwill of this space. I had a good conversation with the co-founder of Carbon Money today. Really solid stuff. I'm excited about what they are working on and how it will easily integrate with many things. Point of Integration sounds awesome and waiting to see it's development ahead.